Australian firm Zeetex has been producing Zeetex tyres for more than 30 years. Its production operations are located predominantly in Asia, which means the tyres can be yours for competitive prices - even at the sportier end of the range. Vans and SUVs will also find options to choose from in the Zeetex range. Benefit from the tyres' great price-performance ratio by ordering yours at mytyres.co.uk, where you can choose from a variety of sizes. 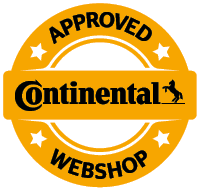 Our online shop will guide you step-by-step through the order process, ensuring you end up with the right fit for your car.